My regular readers are already aware that I recently purchased a Masterbuilt extra wide propane smoker from Bass Pro Shops. I posted an introduction a little over a week ago with an explanation as to how I decided to make the purchase. After using the smoker for a couple weeks and cooking several different meats, I feel﻿ I've got a pretty good handle on the cooker's strengths and weaknesses. Let's get into the review. The main selling point for the Masterbuilt GS40 is that it has the largest cooking capacity of any smoker I could find in its price range ($179.99). The dimensions of the actual cooking chamber are 24 x 16 x 33. With four adjustable stainless steel racks, the GS40 accommodates up to 12 racks of ribs or 8 pork butts. The racks easily slide in and out making it convenient to access food while it cooks. There are also mounted internal brackets allowing each rack's height to be adjusted. While not exceptional, the racks are adequate for just about any cooking task. They appear to be stout enough to last for quite some time. The smoker also includes a water pan and chip pan. In reading several customer reviews, these two items were among the most highly criticized features of the unit. Both are cheaply made, but I don't see the need to replace them (yet) as many others said they had. Strangely, the chip pan has holes in it that allow the burner flames to come into direct contact with the chips. This typically ignites the chips making them burn quickly rather than smolder. To remedy the problem, I simply lined the chip pan with a few layers of heavy duty aluminum foil. The GS40 uses a simple propane burner. It works great right now, but I do have some concerns about the burner's longevity. The burner's flame is easily adjustable using a simple knob. The smoker holds a constant temperature for several hours. Because it's not insulated, the internal temperature can be affected by outside weather conditions. Unfortunately, I'm unable to gauge specific temperatures because the thermometer is pretty much junk. The seal on the gauge was broken when I opened the box. I inserted it anyway just to see how it would work. The needle on the dial jumps and fluctuates. Without an actual working thermometer, I just have to guess at the internal cooking temps. Thus far, I've cooked spareribs, meat loaf, wings and chicken quarters. Whether smoking at low or high temperatures, the results have been stellar. I couldn't be happier with the ease of use and consistent quality of the food. It's no wonder BBQ purists see cooking with propane smokers as cheating. It's significantly easier to produce excellent smoked meats using a propane smoker than a charcoal / hardwood pit. 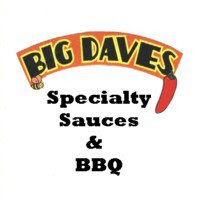 It certainly takes some of the artistry out of cooking BBQ, but it's hard to knock the results. I've made my very best ribs using this smoker. I have some quality and longevity concerns about the components of the GS40, but I'm pretty pleased with the smoker overall. The most important features to me are the large cooking capacity and consistent temperatures. For the price, I don't think I could have found anything else to better meet my needs. 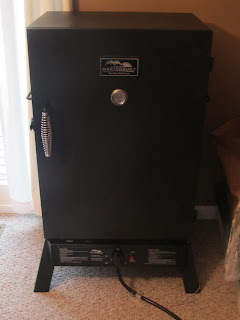 For someone looking for an easy to use home smoker, I wouldn't hesitate to recommend the Masterbuilt GS40. 8 Response to "Masterbuilt GS40 XL Propane Smoker (Review)"
This will be my next BBQ'ing purchase! Being using this smoker for 1 full year (25-30 cooks). I'm still pretty happy with it. It was a great buy. I have used the masterbuilt for two years in my catering business. It has far and beyond out performed my expectations. (250 cooks) This workhorse has me made about $ 10 K. I am on my way to Bass Pro to purchase TWO more of these honeys, 8 stars out of 5. It has finally rusted out at the bottom around the burner. I'm going to take the racks out of the first smoker and increase my capacity in the two new ones. Art of smoking is the ideal site for best electric smoker reviews. This site must worth a visit from electric smoking lovers. Surely this site wouldn't disappoint them.